Looking for a fantastic Gluten Free dinner? My Gluten Free Chicken Black Beans and Rice will hit the spot made with simple, clean and fresh ingredients. Only 10 minutes of prep makes it a easy family weeknight dinner. 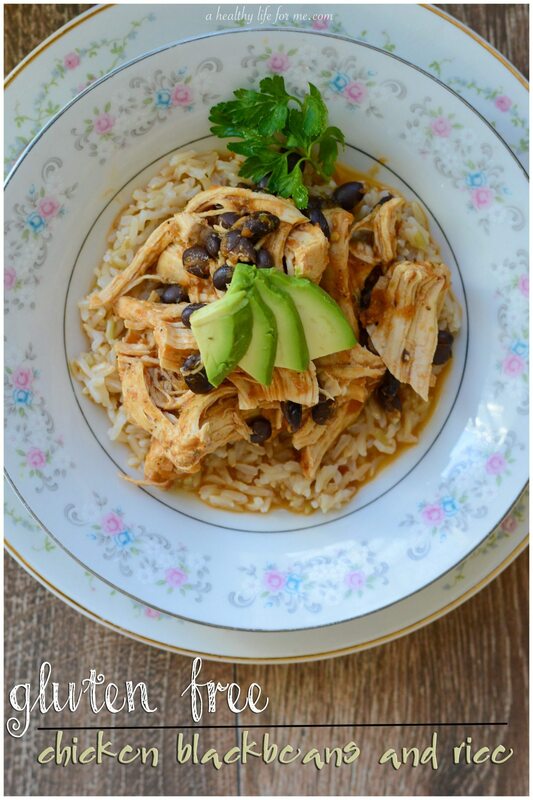 This Gluten Free Chicken Black Beans and Rice dish, is loaded with tons of flavor thanks to the fresh ingredients. If you are a fan of the extra spicy add a jalapeño or serrano pepper, if you are whimpy like me omit, because you still get a spicy kick with the chipotle and red pepper flakes. The clean ingredients in this dish will give you a generous dose of healthy whole fiber and with the beans and chicken a big helping of lean protein. Notes: To make this dish gluten free, you need to use gluten free rice. If you are super sensitive to gluten you should use gluten free black beans because of the chance of cross contamination while growing. Season chicken breasts evenly on both sides with Italian seasonings and red pepper flakes. In a large dutch oven pot over medium heat, melt coconut oil. Add garlic and stir for a minute or two. Push vegetables to the sides of the pan and add chicken breasts to center of pan, cooking 4-5 minutes until brown and flip. Cook an additional 4-5 minutes. If you don’t have room for all breasts, stack seared breasts to side and add remaining breasts to brown. Once all chicken is browned on both sides add tomatoes, salsa, chicken broth and bay leaves, bring to a boil. Once boiling lower to a simmer and cook for 30 minutes. Remove bay leaved from broth and add broth and vegetables to a blender and puree. Shred chicken by pulling apart. Add puree, shredded chicken and rinsed black beans back to dutch oven and simmer to warm. 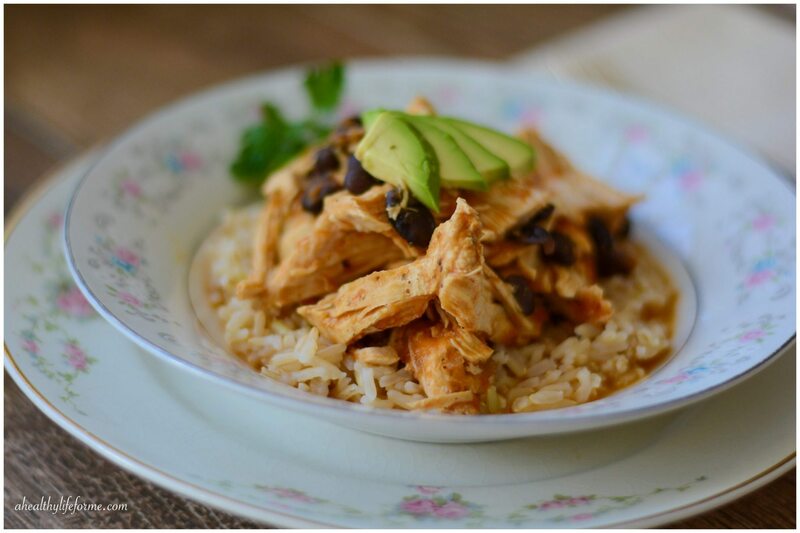 Cook rice and serve chicken and beans over rice topped with some diced avocado and cilantro. This sounds healthy and delicious! I love the combination of flavors! 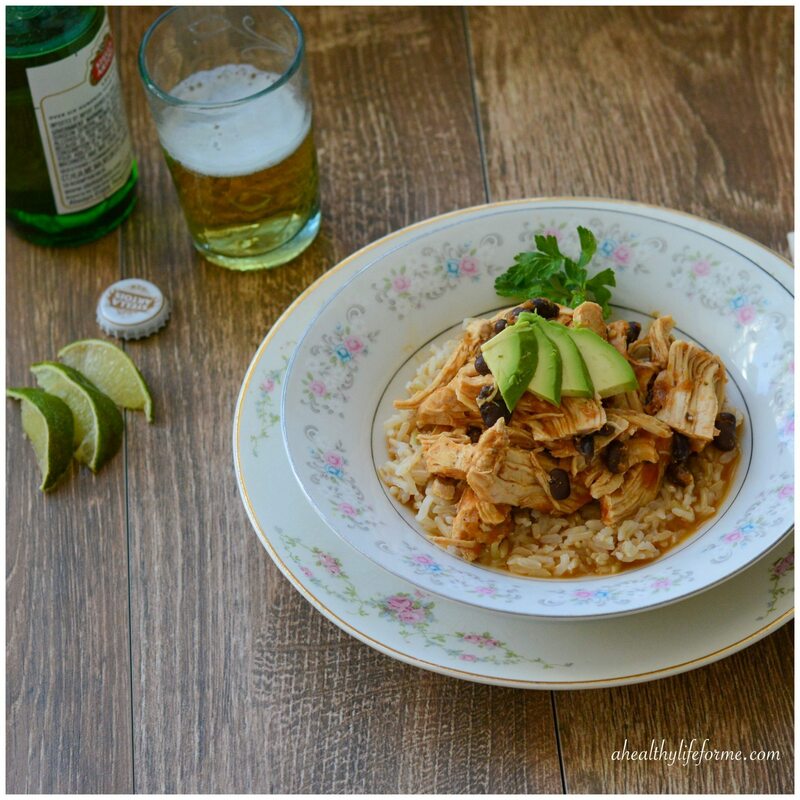 A perfect easy dinner (healthy too) for these busy weeknights! We love black beans over here!